In the RINGMAT instructions it states: "If there is height adjustment to the tonearm, make such adjustments as are necessary to ensure that the tonearm and cartridge are aligned to the surface of the record as is appropriate for the design of the cartridge." Most instructions for aligning the tonearm and cartridge suggest that these should lie parallel to the surface of the record. Following the pioneering work of Russ Andrews and others, further research has shown that the 'parallel' concept (virtually an industry standard) is not usually the best approach for most cartridges. variation to achieve an optimum stylus rake angle for any record is around 1mm or more, but the suggested range is typical of many records. Where the tonearm is aligned as suggested above, then in rooms of an average temperature and humidity, stylus pressure should be set half way between the mid-point and the bottom of the recommended range for the cartridge - for very warm rooms, stylus pressure should be lowered towards the bottom of the range; for cooler rooms, it should be increased towards the mid-point. Further background information is available from Ringmat Developments. A suggested way to align the tonearm for an ANNIVERSARY RINGMAT and other 330 models (which raises the record about 3mm above the platter), is to place a flat sheet of card or plastic with a thickness of around 0.75mm* on the bare platter and place a record on top. Then, by measuring the distance between the surface of the record and (1) the front and (2) the back of the headshell (e.g. 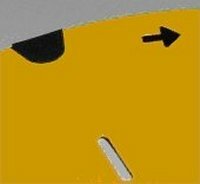 to the underside edge of the headshell in each case), adjust the height of the tonearm so that the distances, (1) and (2), are the same. Then remove the sheet of card or plastic and replace with the RINGMAT. Initially, set stylus pressure according to room conditions (see previous paragraph) and fine tune by listening to one or two records in the normal way - reducing pressure if the sound is heavy, thick and slow, or increasing pressure if the sound is rather thin with a hard edge, the bass over-dynamic and lacking in extension, and the sound generally too fast or 'mechanical sounding', lacking emotion. Now that RINGMAT Spacers are available, either separately or as part of the RINGMAT SUPPORT SYSTEM, this will not only make many of the aforementioned procedures much easier, but it will also be possible to establish, quickly and easily, an accurate setting for the LPs in a collection. It should be appreciated that, in a well optimised system, an error of as little as 0.1mm in the height of a record on the platter will degrade reproduction considerably. It is, in fact, the dominant parameter affecting sound quality and that is why so much emphasis has been placed on it in these notes. RINGMAT Spacers also provide an improved interface between the low mass of a RINGMAT and the very much higher mass of the platter, generating a significant improvement in the dynamics of music and other sounds on playback, as well as enabling the user to achieve a more accurate stylus rake angle.